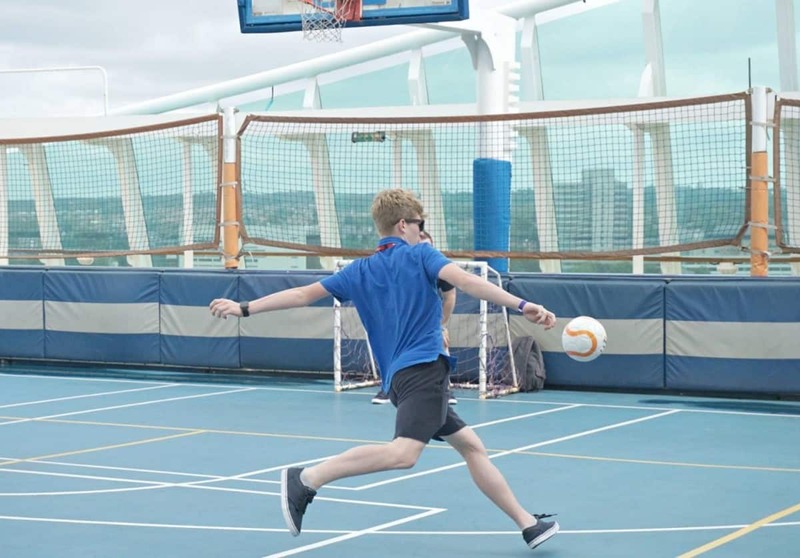 When you are booking a family cruise one of the main things to ensure is will the teenagers be happy. Will they have lots to do to keep their overactive minds busy? Because if the teenagers are happy everybody is happy, am I right? 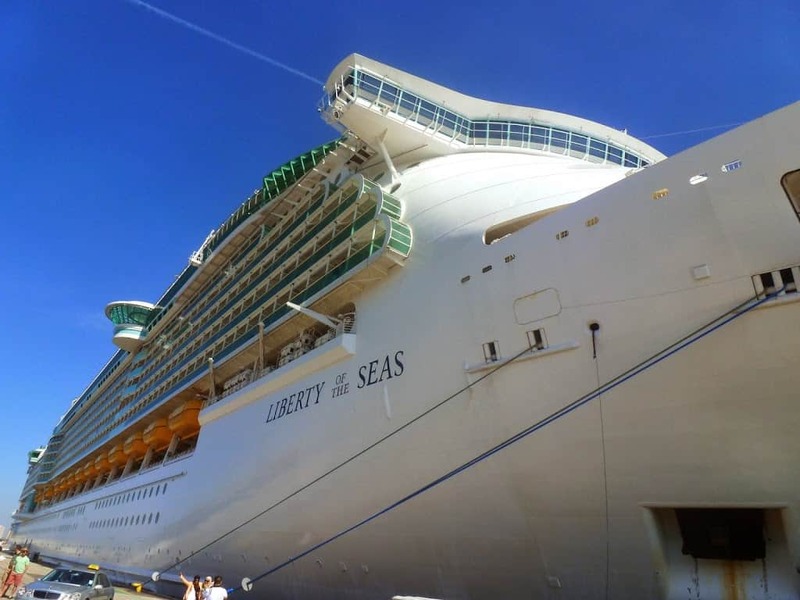 There are so many wonderful facilities traveling with Royal Caribbean’s Liberty Of The Seas that teens will love. Having had an extensive refurbishment in early 2017, the Liberty now boasts facilities to make even the grumpiest of teens smile. And wow this is such a huge improvement to our last trip on the Liberty Of The Seas. 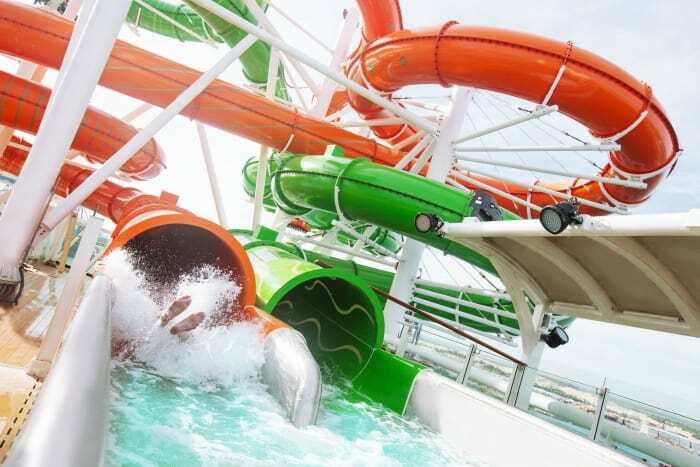 With the addition of a collection of water slides called the Perfect Storm including the first ever boomerang style slide at sea. And Splashaway Bay a fully interactive aqua park featuring an interactive kid’s play area with water cannons, geysers and more. I can’t wait to take the boys to check this out. 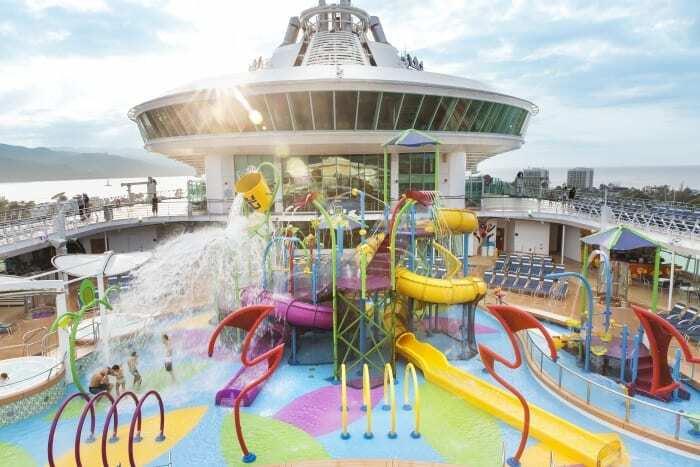 It promises to offer many hours of fun for cruising children of all ages. With some of the larger slides being the stuff of teen thrill seekers dreams. Our boys can happily spend hours surfing or body boarding. This is something I am desperate to try out so maybe on our next cruise? 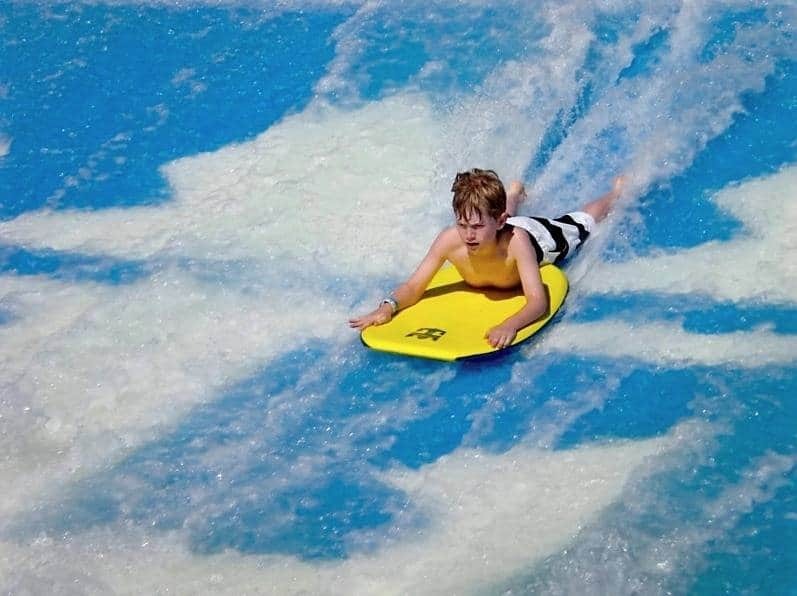 The FlowRider works on a queue system and is open at intervals throughout the day. I found the instructors fair with timings giving a little longer when the queues are shorter. And if you are a keen surfer you can book private lessons at an extra cost, which is on the boy’s wish list for our next cruise. Although they are both pretty good at body boarding, they want to improve their surfing skills. The ice rink is open at intervals mainly on sea days, and is such a great activity to do with the whole family. If you have active and sporty kids this is a great was to get the balance of family time and teen only time, without the teens thinking you are forcing them to spend time with you. During the evening the ice rink hosts spectacular ice shows. However should you want to catch a show I recommend you book on embarkation day, as they are extremely popular. 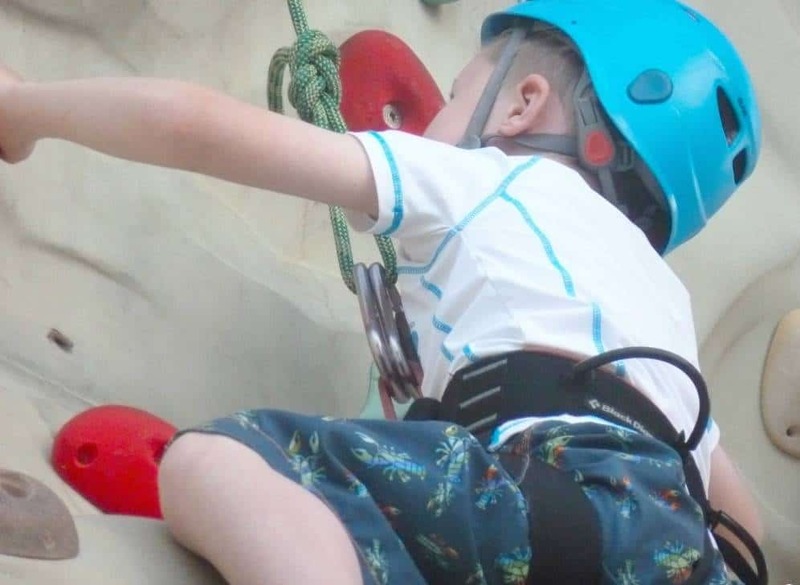 The climbing wall is one of my favourite sporting activities and with the best views ever. Getting to the top to take in those views is the ultimate prize. Where teens love the competitive angle of the climbing wall. The sports court is a great place for teens to meet friends. There is mostly always a game going on and if there isn’t then as soon as someone starts to kick a ball or throw some hoops, fellow sportsman seem to just appear. This is the perfect place for sporty teens to hang out, as they are never alone for long. It’s great for teens to have an area, which feels grown up. And the teen’s area on the Liberty Of The Seas has that cool vibe going on. Being a teen is a hard age. They are too cool for kids club but crave the company of people their own age. The teen club has gaming area and planned activities to encourage cruising teens to meet up, mingle and make new friends. The promenade desk is packed full of great places to eat. With Sorento’s specialising in delicious pizza, snacks and salads coffee and hot chocolate and cafe promenade being the perfect place to grab a coffee sandwich and cake. For an extra cost you can visit the ice cream bar or cup cake cupboard. Teens will never go hungry on a cruise with on tap snacks and ice cream. There is also a soft drinks package available at an extra cost, which in our experience is worth every penny. With all that to do you will need to schedule time in to see your children and trust me I have had to do this! But I guarantee that once you get teens on the Liberty of the Seas, the only problem you will have is getting them back off again.